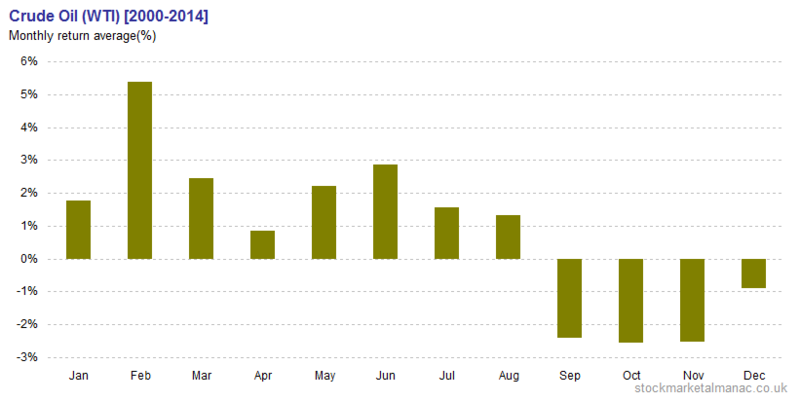 Does the price of gold exhibit a monthly seasonality? On 17 March 1968 the system that fixed the price of gold at USD35.00 collapsed and the price of gold was allowed to fluctuate. 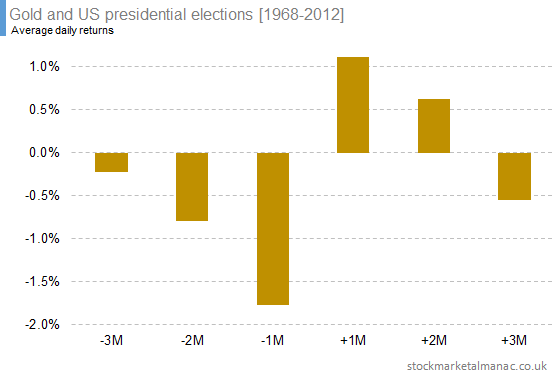 Let’s have a quick look at the chart to see how gold has performed since it floated in 1968. 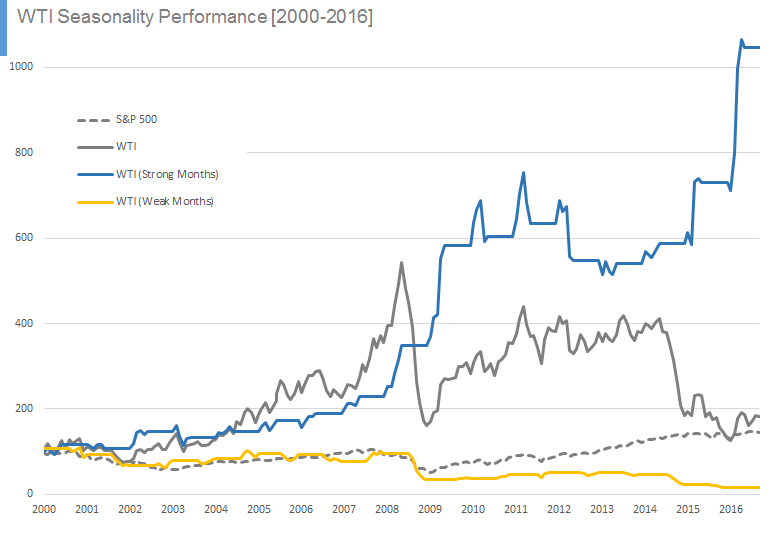 Since 1968 when gold floated, its price has grown at a CAGR of 7.7%. 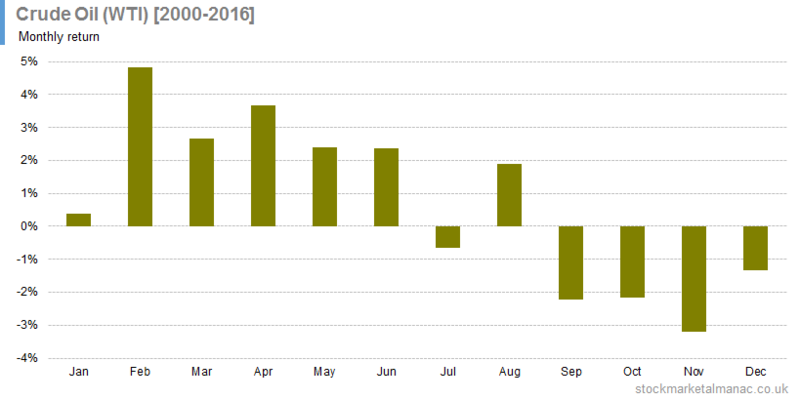 Let’s look now at its monthly seasonality. 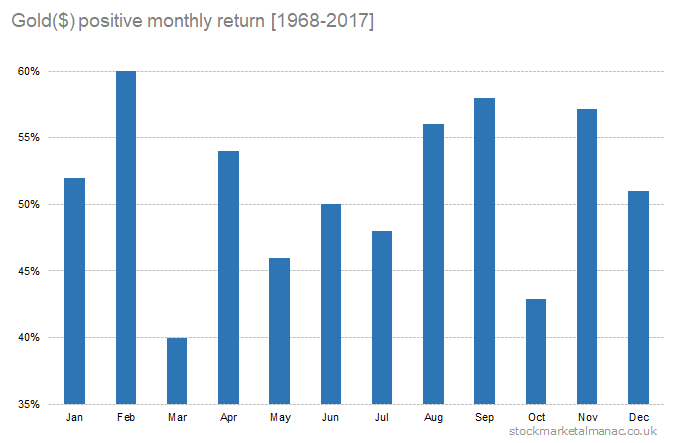 The following chart plots the average price returns for gold by month since 1968. 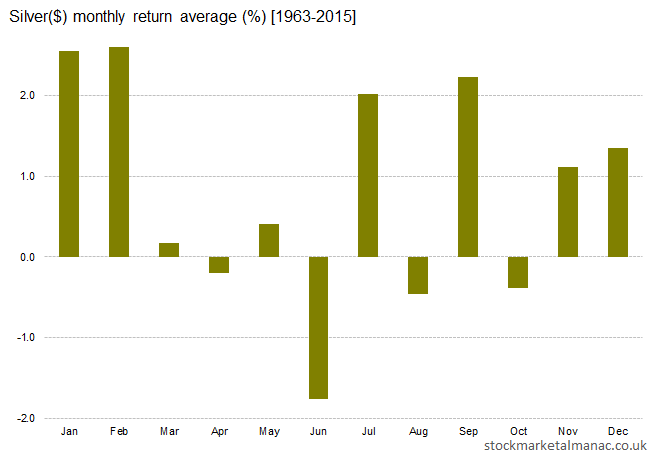 For example, since 1968 the average return of the gold price in January has been 1.2%. 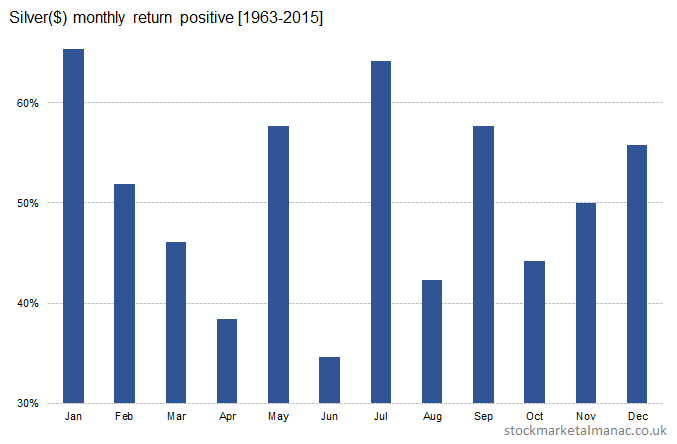 And the following chart plots the proportion of months that have seen positive returns. 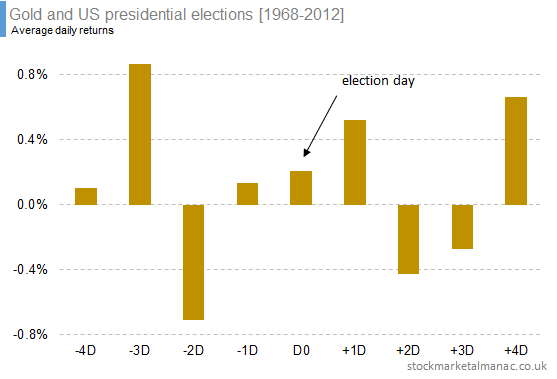 For example, in 60% of years since 1968 gold has had positive returns in February. 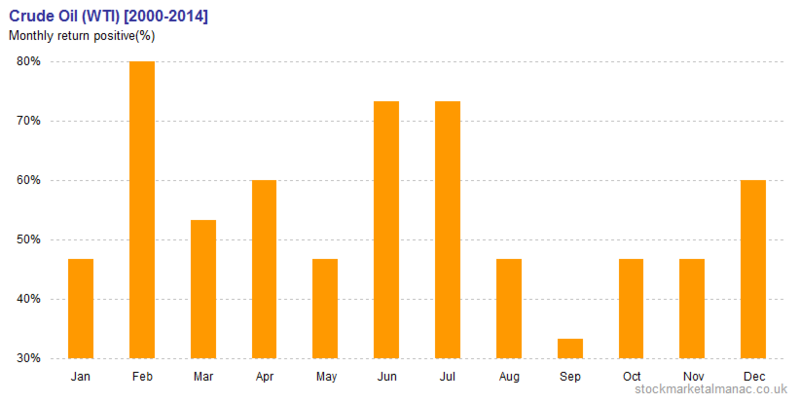 It can be seen that since 1968 gold has on average been strong in February, September and December. 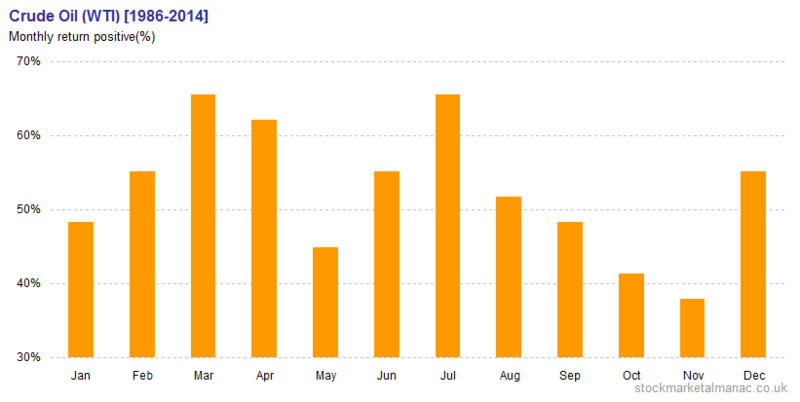 The weak months for gold have been March and October. 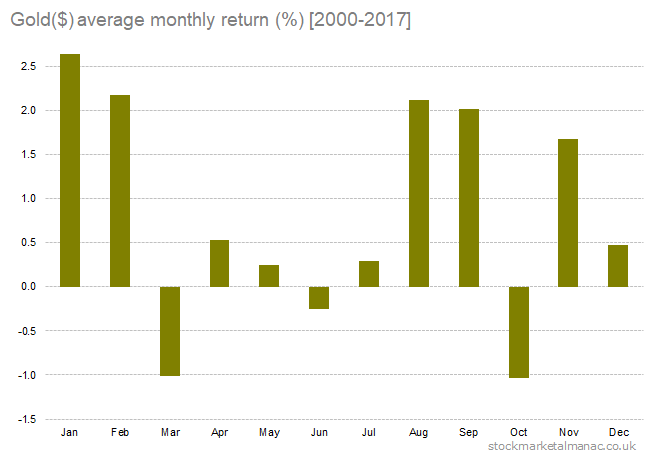 This profile of behaviour would seem to have some persistency as the same pattern can be seen for the more recent period 2000-2017, for example the following chart plots the average month returns from 2000. 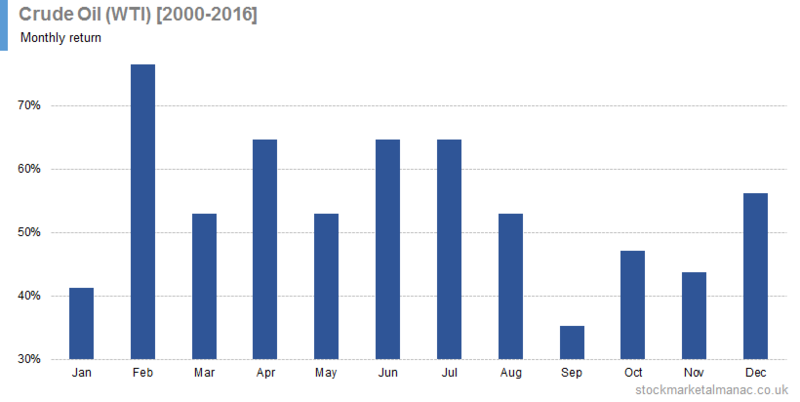 The main new features recently have been the strength of gold in the months January, August and November, and the weakness in December. 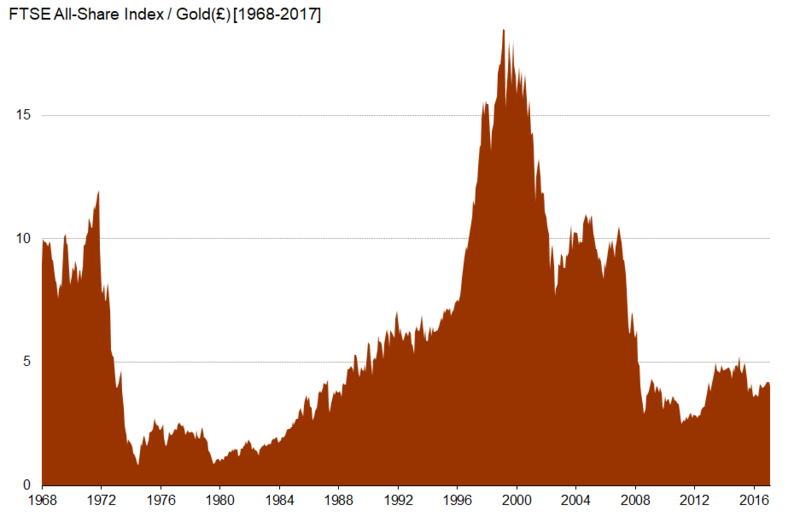 The following chart shows the ratio of the FTSE All Share Index to gold (priced in sterling) since 1968. One can regard the chart as the UK equity market priced in gold. 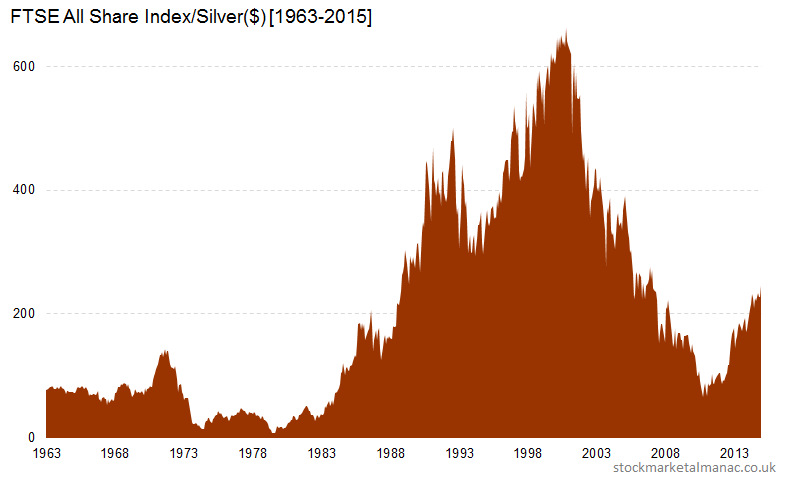 On 27 March 1980 the silver market collapsed. 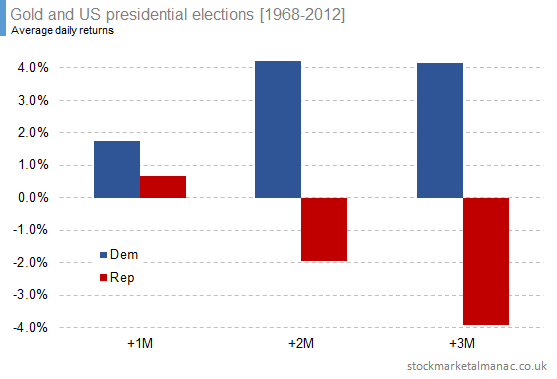 Panic swept the financial markets and there was a fear that several brokerage firms may collapse. To avert this a consortium of banks provided a line of credit of over $1bn to two brothers. The brothers were called Hunt and they had tried to corner the silver market. Silver may not be as popular as gold as a store of wealth, but come the zombie apocalypse it may well be more useful than gold as a medium of exchange. But how does it stack up as an investment? 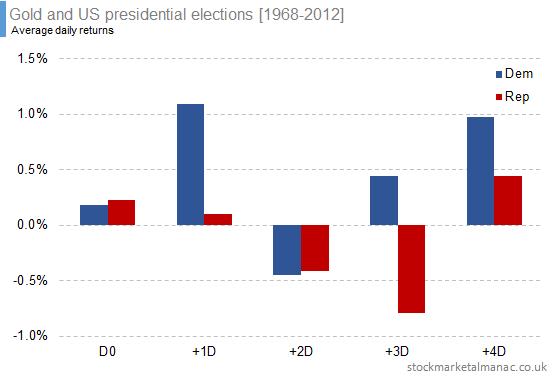 Here we will look at two aspects of sliver: its seasonality and relationship with the stock market. 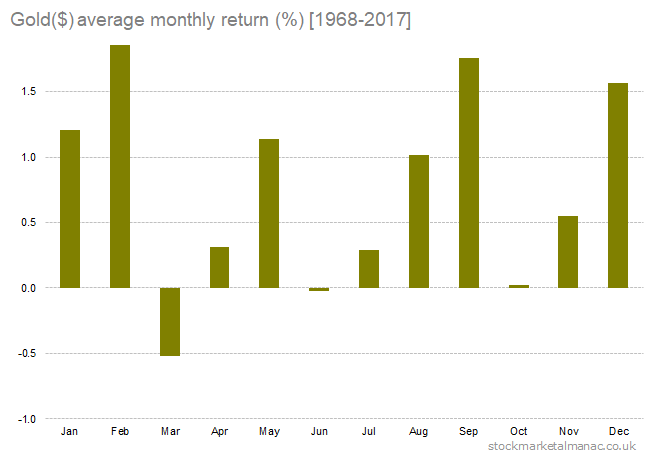 The following chart shows the average price returns for gold by month since 1963. 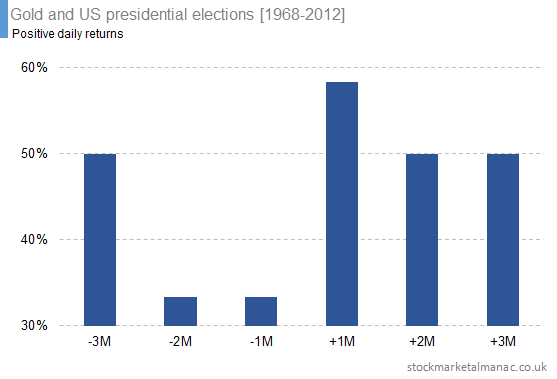 While the next chart shows the proportion of months that have seen positive returns. 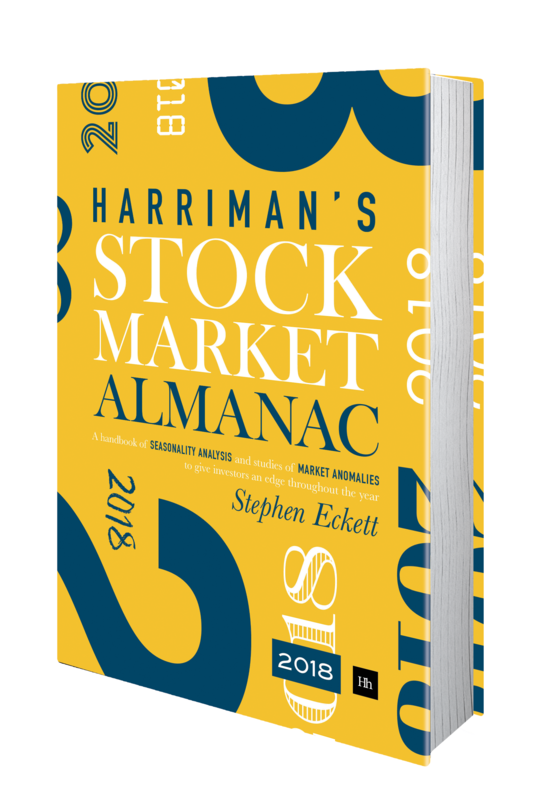 It can be seen that silver has been historically strong in January, February, July and September, and weak in June, August and October. This profile of behaviour would seem to have some persistency as the same pattern can be seen for the period 1990-2015. 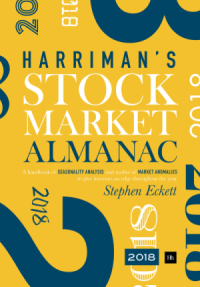 The ratio peaked at 662.60 in April 2001 and then fell to a low of 65.05 in April 2011 after which is has been steadily falling in price against stock prices. Since 1963 the ratio average is 205.25. Note: There are several silver ETFs/ETNs listed on the LSE, for example: PHAG($), PHSP(£), SLVR($), XSIL($), SILG(£).